Conjugate of a complex number is a number having the same real part but having the negative imaginary part. It is denoted by bar over the number. Special property: The special property of this number is when we multiply a number by its conjugate we will get only a real number. Complex plane: Complex plane is otherwise called as z-plane. It is used to represent the complex numbers geometrically. 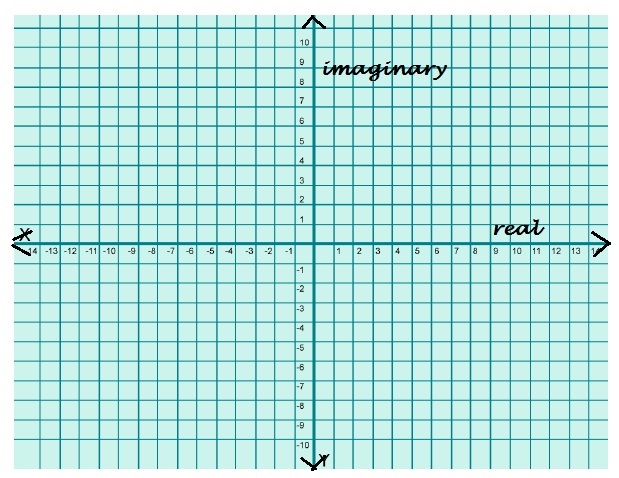 We use xy-plane to represent the complex numbers as x axis as real axis and y axis as imaginary axis. The other names for complex planes are Argand plane(old name for complex plane) or Gauss plane. Let us see some examples in modulus and argument of a complex number. 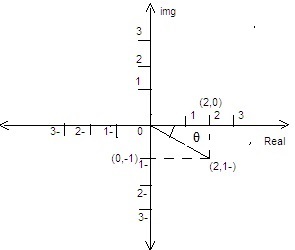 The complex number z = 1+2i is represented by the diagram below. The number is represented by the point P whose coordinates is (1,2). The modulus is the length of the line OP which can be founded by either Pythagorean theorem or the formula given above. 2. Find the modulus and argument of 2-i. 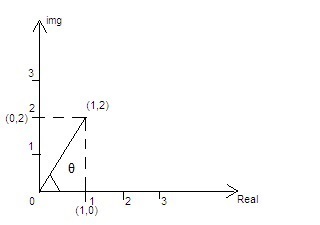 The complex number z = 2-i is represented by the diagram below. The number is represented by the point P whose coordinates is (2,-1). 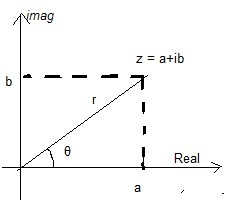 While calculating the argument, the diagram shows that the angle is negative sign. Students can go through the above examples and become master in modulus and argument. If you are having any doubt you can contact us through mail, we will help you to clear your doubt.